According to the Report, today’s “social clock” society is online 24/7. In a desert of work, stress and the internet, nature – both indoors and outside – has become an oasis. The team of trendspotters at Garden Media, who have had their finger on the pulse of trends for almost 20 years, sees the beginning of a change from the “ME” generation to a focus on “SHE” – Mother Nature. From robot bees to pruning “blue screens,” the 2019 GTR: Rooted Together demonstrates how changing habits can cultivate a healthy lifestyle, healthy community and healthy planet. The eight garden trends show how our love of nature will become an emotional, physical and spiritual resource to help us connect and find a common focus to save the planet. Millennials are responsible for 31% of houseplant sales, according to NGA. 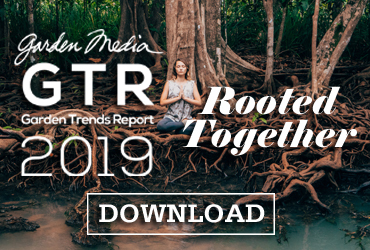 The complete 2019 Garden Trends Report: Rooted Together is available for free download now. 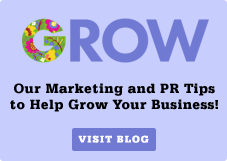 Read Garden Media’s GROW! blog for trend updates and industry news.